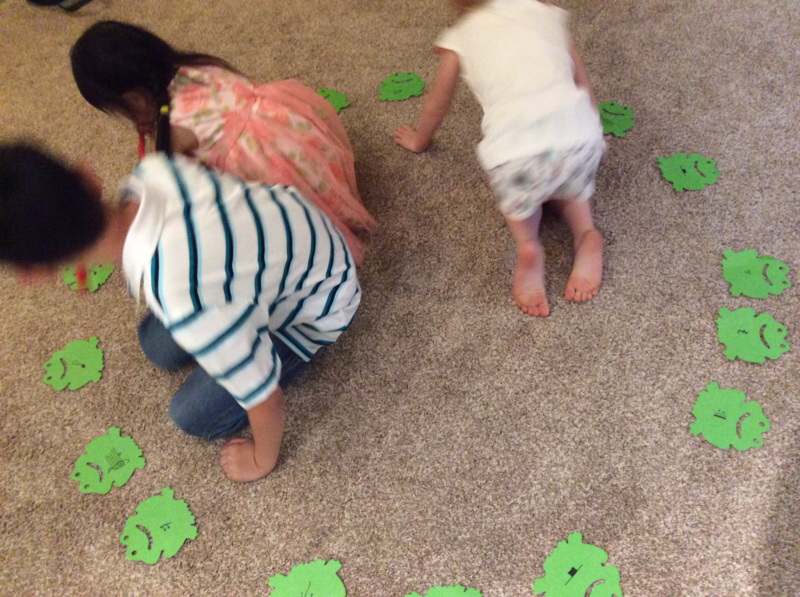 You are here: Home / Group Lessons / The FROG Game! Here is a cheap, easy and FUN game for students of any level and works for any instrument! 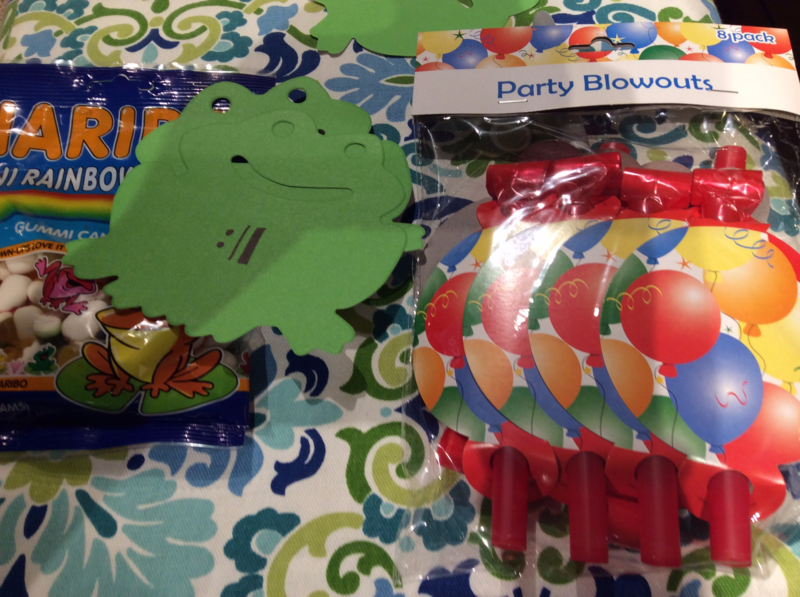 1 RED party blowout for each student (I get an 8 pack at Dollar Tree or these work). 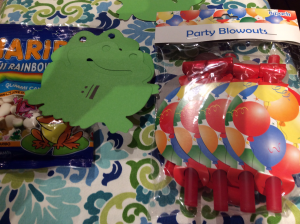 Green Paper Frog Cutouts (I get mine at Dollar Tree or these work). Frog Candies (I use these). Each month I pick a theme or two and pull my materials and put in a small 3 bin craft organizer I keep in between my piano and bookshelf right next to my chair. I had all of these materials ready to go and it was a perfect pick for my last 2 students of the night who both had birthdays in the last week. 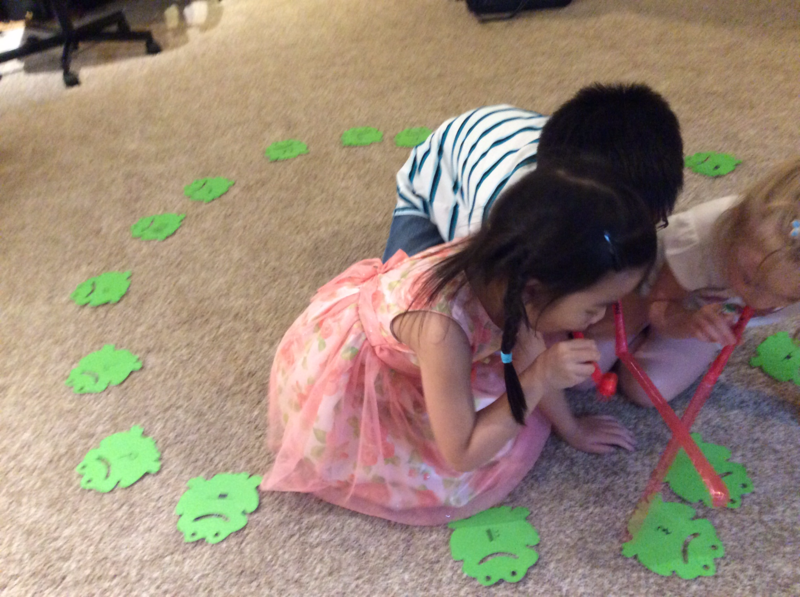 My birthday students along with my daughter (I always call her if it’s an appropriate game she’d enjoy) playing KISSING FROGS. Then you tell them they are playing the kissing frogs game and they have to blow out their frog tongue and “kiss” the frog with the correct answer. If it’s a large group I’ll call out 2 possibilities on opposite sides so I don’t have a pileup on my hands! When I play games I love to keep score and then tear it up when we are done…and tell them that it’s not about who won the most points, because EVERYONE WON BECAUSE EVERYONE LEARNED SOMETHING! It’s a teacher thing. The mini rainbow frogs are a perfect treat because they are so tiny and cute and won’t get anyone hyper. I gave my students the rest of the candies and the paper frogs to take home and play again they enjoyed it so much! If you want to make frogs durable, lamination is best. you can read it on any device like a pc, kindle, laptop or ipad! Thanks. Please note that links on my website and blog are amazon affiliate links and the small profit i make goes into the upkeep of this site. Thanks!